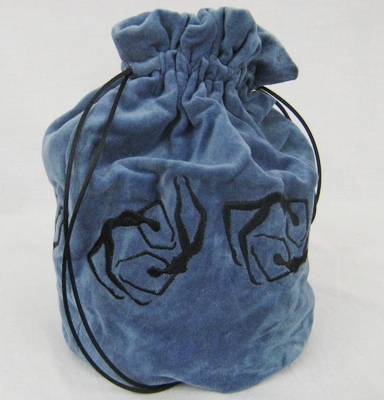 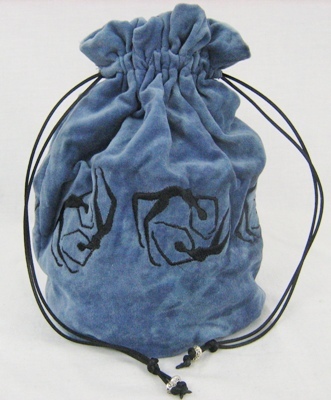 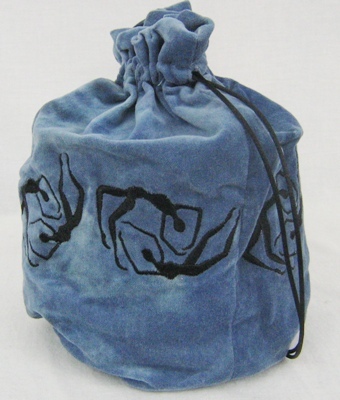 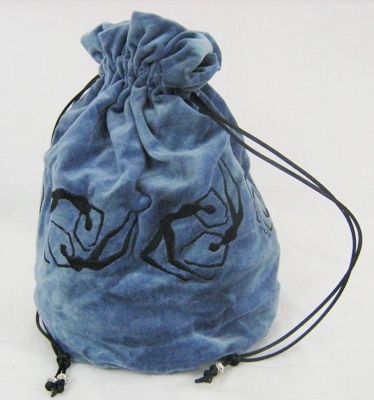 This bag is made of hand-dyed blue cotton velvet, lined with black satin. 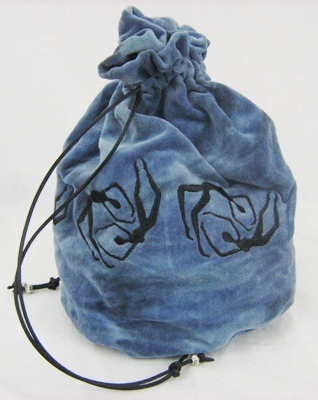 It is embroidered in black thread with Kim's original design of two figures swimming in a circle. 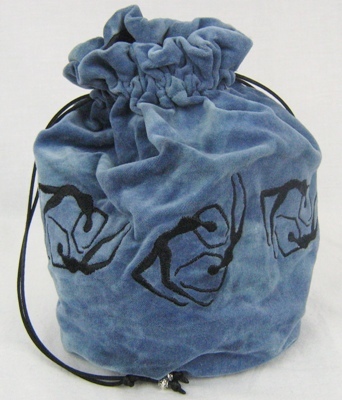 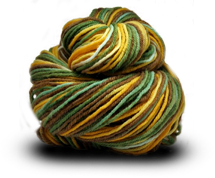 The figures have been rotated around the circumference of the bag as if they are tumbling in a clockwise motion. 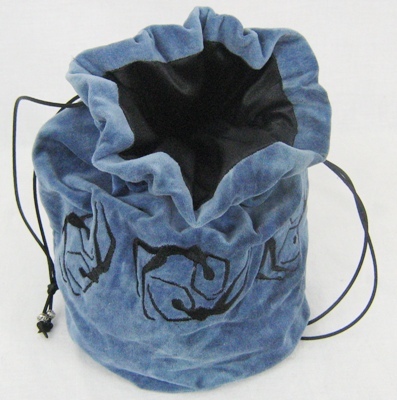 It has black nylon draw cords and is finished with silver metal beads.